Standing on the bank of the Qihe River, international students from the Emerging Markets Institute (EMI) at Beijing Normal University were enthusiastically taking group pictures against the pristine scenery of Qihe River wetland in Hebi City, central China's Henan Province. They were part of an annual initiative to help international students get a better understanding of the economic and social development around China, especially in small and medium-sized cities. 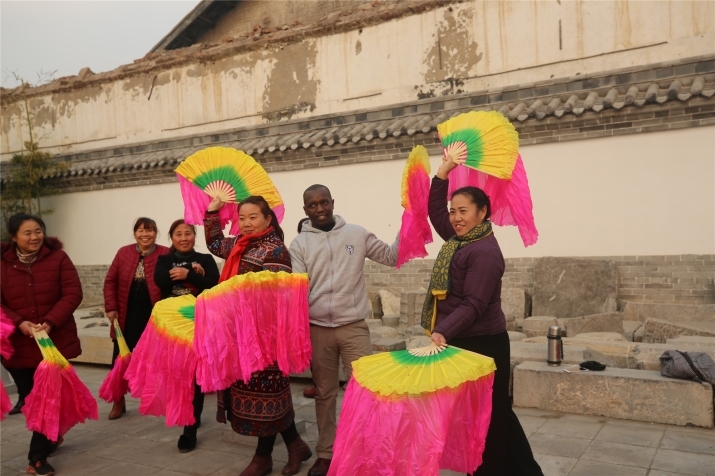 The EMI organized two trips for international students in China, which in December last year included 52 international students from 30 developing countries visiting Hebi. Hu Biliang, Dean of EMI, had a reason to choose Hebi as a trip destination for his students. "As a typical energy-based city, Hebi is committed to the transformation and upgrading of its industry. Hebi has a lot of experience to share with students from developing countries," he told ChinAfrica. Covering an area of 2,182 square km with a population of 1.64 million, Hebi experienced the dawn of its coal mining industry as early as a century ago. It is one of the earliest cities in China to start coal mining. Since 1957, the coal mining industry has dominated the local economy for many years. However, the coal mining boom led to environmental challenges such as air pollution in the city. In addition, Hebi began to face economic challenges around the 2000s due to gradual depletion of coal resources. It became obvious to local administrators that the city had to make a change. "Traditional ways of using coal have low added value, and pollute the environment heavily. As the Chinese economy develops with escalating environmental protection needs, the Hebi Government decided to adopt strategies for its sustainable development," said Liu Wenbiao, Vice Mayor of Hebi. After 2000, some of the coal companies in Hebi were encouraged to shift from heavily polluting coal mining to clean and efficient use of nonrenewable resources. Some of the companies are also foraying into environmentally friendly and high value-added businesses other than the coal sector, such as new materials production and equipment manufacturing. "In 1998, the coal business had almost ground to a halt in Hebi, as our raw coal had no competitiveness compared to clean coal produced by other coal companies," said Liu Hongxing, a technician of Hebi Coal Industry Group. Realizing the gap, the next year, Liu and his colleagues were sent to former Wuhan Iron and Steel (Group) Corp., which was merged with Baosteel Group in 2016, to learn how to reduce the sulfur and ash in coal via washing facilities. In 2004, Hebi Coal Industry Group launched its own coal preparation plant that could wash coal off soil and rock, crush it into graded sized chunks, and load coal into rail cars, barges or ships. "Breakthroughs in coal technologies are of great significance to increase coal production efficiency and reduce pollution," said Liu. In addition, instead of simply mining and burning coal for power, coal companies in Hebi have been developing other businesses to generate more revenue and achieve sustainable development, such as producing coal-based chemicals and construction materials, with a focus on energy saving and environmental protection. The traditional coal is being transformed into liquid chemical products, and the industrial chain is extended. The added value of coal is therefore significantly improved. "The current coal price is less than 700 yuan ($104) per ton, but after processing into methanol, the market price is close to 3,000 yuan ($448) per ton; if methanol is processed into 1.4-Butanediol (industrial solvent), the price per ton will exceed 10,000 yuan ($1,493)," said Guo Shaofeng, General Manager of Hebi Coal Chemical Co., Ltd.
Gebresilasie Nigsti Yemane, one of the students in the group from Ethiopia, learned a lot from this experience. "Hebi is a good example for me to see its transformation from extensive development to sustainable development," she said. "The city's experience in upgrading its economic structure and performance is referential for many African countries to upgrade their industry and turn less reliant on raw materials and resources." "In the past, we developed the coal industry and benefited from it, but we have polluted our environment. We now have to control pollution so that we can have blue skies," said Liu Xiangting, a local tour guide, who accompanied the students to the Jianye Green Industrial Base of Hebi. 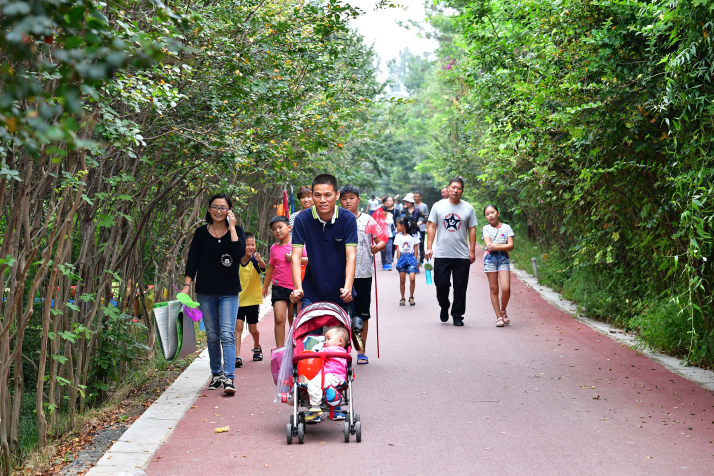 In recent years, the local government has enhanced efforts to improve the ecological environment. The Jianye Green Industrial Base is an example of a former sewage dump that has been transformed into a beautiful green scenic spot for visitors. "It is not what the city has achieved that impressed me most, but that it creates a balance between economic development and environmental protection," Diar William Kuol Kiir, a student from South Sudan, told ChinAfrica. Now Hebi is a comfortable city to live in. According to the data from local government, in 2015, the forest coverage of the city reached 32.2 percent. With a 42 percent green coverage rate and a population of 1.65 million, the city's per-capita ratio of public green space is the highest in the province. Having diversified from a coal mining-dominated economy, the new pillars of the local economy are now clean energy and new materials, organic food, electronics, magnesium processing and a modern home service industry. In 2017, these industries accounted for 52.6 percent of the total output value of the city. In contrast, the coal industry has declined by 11 percent over 7 years since 2012. In addition, the service industries, including agricultural product processing, logistics, tourism, electronic information and cultural creativity have also emerged, occupying 28.2 percent of the total output value. Student Hisham Abubakr Metwally Mohamed from Egypt was especially delighted with the visit. "Economic diversi­fication will be a game changer for Africa's future," he told ChinAfrica. "This is what I learned from Hebi." He believed that productive sectors such as agrobusiness, light manufacturing, textiles, tourism, financial service and other service sectors appear to present visible opportunities for economic diversification and structural transformation of African economies.